Unsent photos usually come down to one thing: Internet connection. Luckily, there’s an easy fix. 1. First things first, you’ll need to check your Internet speed. 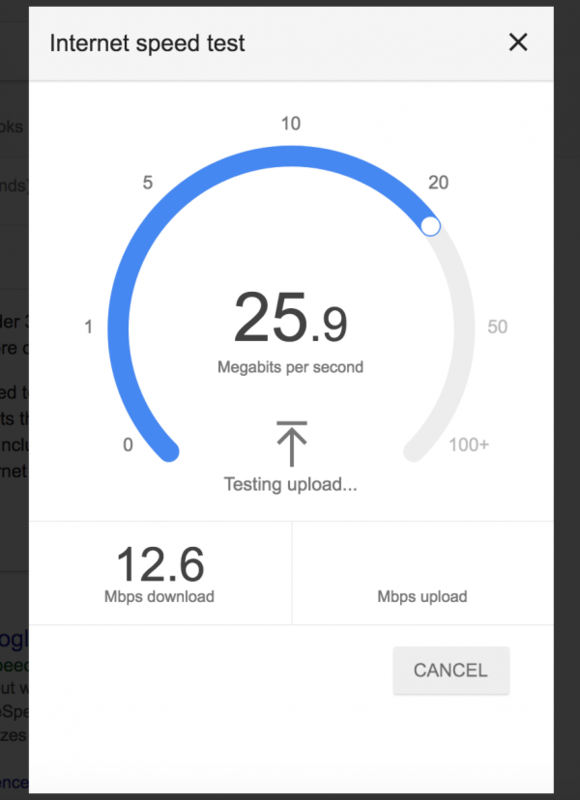 The speed test will measure two speeds: the download speed and the upload speed. Download Speed: the rate at which data is delivered to your devices. Upload Speed: the maximum amount of information your device can deliver to the Internet. 2. As a rule of thumb, typical broadband speeds run at 25mbps download and 3mbps upload. Anything close to or above these speeds should satisfy the needs of Curator. 3. If the speed test concludes slow download or upload times, then photos will take a while to send or may not send at all. In this case, PixBooth will send the photos to the queue for future sharing.